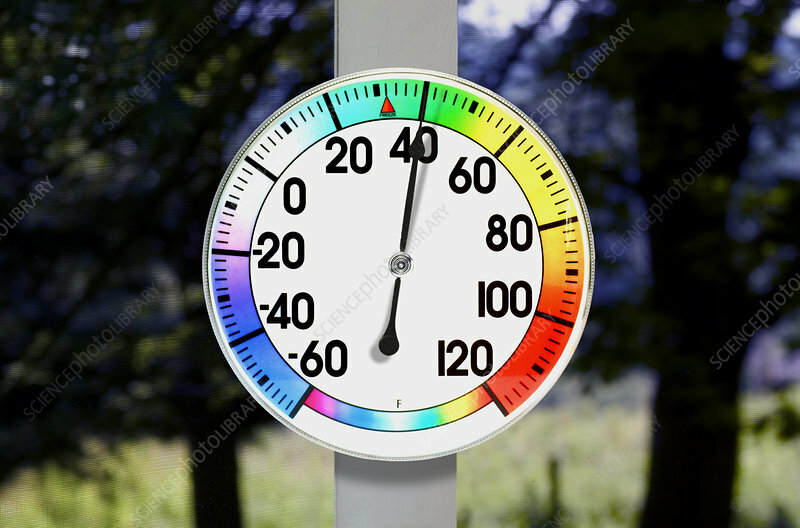 A direct indicating dial thermometer. This type of thermometer uses a bimetallic strip wrapped into a coil. One end of the coil is fixed to the housing of the device and the other drives an indicating needle. A bimetallic strip is also used in a recording thermometer.